The National Bank for Agriculture and Rural Development (NABARD) on Wednesday declared the result of the preliminary examination for the recruitment of development assistants. The online preliminary examination was held on September 29. The bank also released the main examination admit card and information handout for shortlisted candidates. 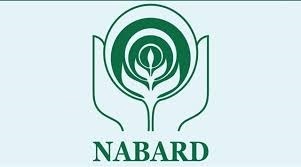 NABARD development assistant main 2018 admit card can be downloaded by visiting the official website of NABARD at nabard.org . The admit card will be available for download until October 21. Click on the link for RECRUITMENT OF DEVELOPMENT ASSISTANT – 2018 – MAIN EXAMINATION ON 21ST OCTOBER 2018 – CALL LETTER on the official website. Enter your registration number, password/date of birth and captcha code (as in the image) and click on login. Your call letter will be displayed on the screen. Take a printout and save it on your computer. Here is the direct link to check NABARD development assistant prelims 2018 result. Now click on Link for Call Letter Download - Main Examination.